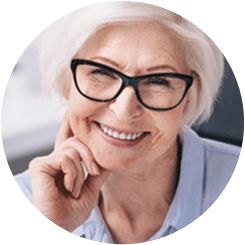 At Jaffe Eye Institute, we are dedicated to providing exceptional eye care and personalized service with compassion and respect. Our board-certified ophthalmologists have years of experience diagnosing and treating a broad spectrum of eye diseases and conditions. Adults should have a comprehensive eye exam every 1-2 years, depending on your age, risk factors, and physical condition. If you have diabetes, high blood pressure, or other disorders that can impact your vision, you may need more frequent exams. Your visual field is the total area you can see from the side when focusing on a central point. Changes in your visual field can be related to damage to your central nervous system from conditions like diabetes, glaucoma, macular degeneration, and others. Many patients may not notice changes in their visual field immediately. Your eye doctor will use the results of this exam to help diagnose complications in your vision. Optical coherence tomography is a non-invasive, high-resolution imaging technique used to gather detailed images of the retina, optic nerve, and cornea. These images help your doctor examine tiny details of the eye’s structure that can influence your ocular health. Corneal topography is a non-invasive imaging technique that allows doctors to map the curvature and shape of the outer eye (cornea). The cornea is responsible for a large percentage of the eye’s refractive power and can have a significant impact on vision. During a fluorescence angiogram, dye is added to the bloodstream to assess the blood flow to the retina. A picture of the retina is taken as the dye reflects back and shows your ophthalmologist any problems with the blood vessels or blood supply necessary for a healthy retina. Fundus photography produces images of the interior surface of the eye including the retina, optic nerve, and fundus. Fundus photos are especially helpful in monitoring the progression of diseases like diabetes or macular degeneration, and they help your doctor monitor changes in your eye health over time. 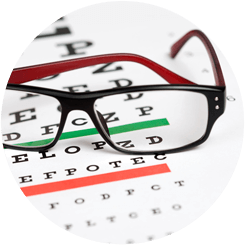 Maintaining healthy eyes and the best possible vision requires regular comprehensive eye examinations and consistent follow up. Contact Jaffe Eye Institute today to schedule an appointment with one of our ophthalmologists in Aventura or Delray Beach, Florida. Request an appointment online or call (305) 945-7433 for our Aventura office or (561) 499-0232 for our Delray Beach office.